Brett Terpeluk was born and raised in rural Pennsylvania where he developed a keen appreciation for nature, history, materials and the primal forms and spaces of agrarian architecture. He received his BA from Princeton University and his Masters in Architecture on fellowship from Rice University, where he was awarded the prestigious Fossi traveling fellowship for outstanding student work. Upon graduation, Brett began a decade-long collaboration with Pritzker Prize winning architect Renzo Piano in Genoa Italy. It was here, among Mr. Piano and a select group of international architects, that Brett was able to nurture his passion for design and his knowledge of materials, sustainability and the craft of building. For Piano, Brett played a pivotal role in three iconic projects: the Aurora Place Towers in Sydney Australia, the Nasher Sculpture Center in Dallas, Texas and the California Academy of Sciences in San Francisco, the largest LEED Platinum museum in the world, where he assumed the role of local project architect. Brett founded Studio Terpeluk in 2008 as a continued exploration of the intersection of craft, design, and material expression. He has taught at the California College of the Arts and at University of California at Berkeley as a Friedman professor. 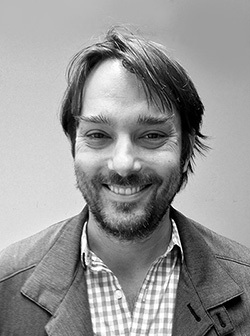 Brett is involved in several non-profits and was past board president of the AIA San Francisco’s Center for Architecture and Design. He has been awarded numerous design accolades and his work has been published internationally in such journals as the New York Times and the Washington Post. His first restaurant, Farina, was awarded best restaurant design in San Francisco by the American Institute of Architects and he has been recognized as one of California’s emerging young designers. Brett lives in San Francisco with his wife and daughter. He is fluent in Italian and is an avid fly-fisherman. Brett is a licensed California architect and LEED accredited professional. Huy was born in Vietnam and grew up in Southern California, where the warm and sunny climate of his childhood engendered an appreciation of the outdoors and is likely the source of his belief that architecture is most inspiring when it interacts with its natural surroundings. He earned a Bachelor of Architecture from Cal Poly San Luis Obispo and is an architect with over 15 years of experience. In practice he has had the good fortune of working on projects as small and honorable as the refurbishment of San Francisco buses into shower facilities for the city’s homeless population; as thoughtfully designed and crafted as the Tahoe City transit center; and as big and complex as two 180,000-sf office buildings for the software company, Intuit. Huy is a licensed California architect and LEED accredited professional. Benjamin was born in Southern California, and lived in Boston, France, Oregon, Indiana, NYC, and Michigan before moving to San Francisco. Always passionate about helping shape the built environment that we all experience uniquely, Benjamin has worked on a variety of design-build residential additions, renovations, store design projects, and an award-winning research fabrication project proposing a new method of heavy timber joinery using CNC-milled tree bifurcations. Benjamin graduated from Taubman College of Architecture and Urban Planning at The University of Michigan with a BS in Architecture.